JOBSITE maintains a fleet of standard mobile offices to serve a variety of customer needs. They are ready for mobile office and construction field office leases. Each model includes the features and amenities needed to operate a modern office. Our standard features and models are listed here. If you would like to add extras to make your office lease more efficient and ready to use upon delivery, contact us for furniture, equipment or design customizations. 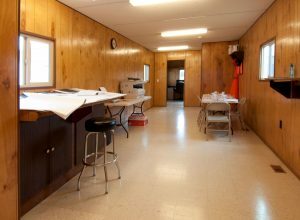 When it comes to mobile field offices, JOBSITE knows your job site needs. Call us to inquire about mobile office and construction field office leases. Click on the model name to open a floor plan and detailed specification sheet. Models can be grouped together to create a variety of larger floor plans and configurations. * The HPMO is our High Performance Mobile Office. Read more about the HPMO here.